Several Columbians have gone on to become professional baseball players, but did you know that one went on to become both a catcher and a spy? In the upcoming thriller, The Catcher Was A Spy, Paul Rudd plays the enigmatic Moe Berg '30LAW, and portrays Berg's unlikely journey from playing for the Chicago White Sox as a law student to being sent to Switzerland to collect intelligence during World War II. This weekend, Columbia Athletics will celebrate the 50-year anniversary of the men's basketball 1968 Ivy League Championship with the alumni members of the team during halftime of the Lions' game against Dartmouth. "We are truly honored to celebrate the accomplishments of this special group," director of athletics Peter Pilling said. "The legacy of the Ivy League Championship 1968 team lives strong in the memories of our fans and we are excited to welcome back members of this team and all of our men's basketball alumni this weekend." Columbia neuroscientists have identified the brain's "anxiety cells." Columbia Medical Center reported this week that its researchers found the cells in the brains of mice. But the cells probably also exist in humans, according to Columbia Professor Rene Hen, one of the study's senior investigators. Did you know? The CAA's partnership with Bank of America rewards you and gives back to Columbia students, too. 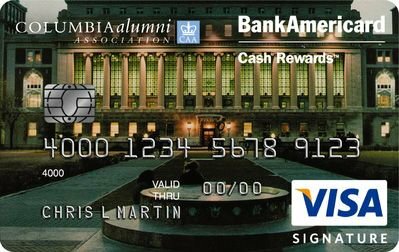 Learn more about the alumni-exclusive BankAmericard Cash Rewards™ Visa Signature® credit card. More than 7,400 couples have met and fallen in love through Columbia. Ahead of Valentine's Day, share your own heartwarming stories of love and lifelong connections you've found at the University. E-mail your stories and photos to love-columbia@columbia.edu. Check out past years' stories here. We can't wait to read your submissions!